AAMH is contributing to the growing research base in mental health throughout the Asia-Pacific. Akiyama, T., et al. (2008). "Asian models of excellence in psychiatric care and rehabilitation." International Review Of Psychiatry (Abingdon, England) 20(5): 445-451. In Asia, like other regions, the circumstances for psychiatric care and rehabilitation impose various limitations on us. However, committed professionals have been creating innovative models of excellence, which are culturally appropriate and clinically effective. In this paper, seven innovative models of psychiatric care and rehabilitation are presented. The Nitte project in India provides a comprehensive free rural psychiatric service, while transforming the ‘brain drain’ problem to ‘brain circulation’ cooperation. Through Social Enterprises in Hong Kong recovered clients are trained and employed. Senior Peer Counselling in Singapore emphasizes the relief of emotional distress by psychological methods and the primacy of communication in the healing or therapeutic relationship. Seoul Mental Health 2020, an epoch-making project in Korea, has increased the coverage rate of community mental health centres remarkably. Yuli Psychiatric Rehabilitation Model in Taiwan helps long-term inpatients to get reintegrated into the community. In Japan, models of excellence for community-based psychiatry have been developed at local government, hospital and community/NGO levels. Chinese Psychiatry Online, an excellent website, provides public education, resource searching, self-testing and consultation services for the public along with various contents for professionals. We must disseminate information about models of excellence which provide great benefit to the people who suffer from psychiatric illness without high expenses. Altanzul, N., et al. (2009). "Community mental health care in Mongolia: adapting best practice to local culture." Australasian Psychiatry 17(5): 375-379. Objectives: The aim of this paper is to describe the development of community mental health care in Mongolia, as exemplified by a best practice model of care in the community. Conclusion: Through the Asia-Pacific Community Mental Health Development Project, Mongolia has identified local best practice such as the ‘Ger’ project that provides community psychosocial rehabilitation, which has been adapted according to local conditions and culture. Chee, N., et al. (2010). "The ongoing development of community mental health services in Japan: utilizing strengths and opportunities." Australasian Psychiatry 18(1): 57-62. Objective: The aim of this study was to identify opportunities for the development of best practice community mental health care models in Japan using key information extracted from the Asia-Pacific Community Mental Health Development Project, site visits conducted on community mental health models, and discussion on service delivery with mental health leaders in government, clinical services and community. Conclusion: In terms of hospital-based care, Japan has the highest number of psychiatric beds and highest ratio of beds per capita in the world. Strategies to address the disproportionate balance of mental health service components are clearly needed. While progress and initiatives in community-based mental health services are promising, there are significant challenges facing the mental health system in Japan. Liu, J., et al. (2011). "Mental health system in China: history, recent service reform and future challenges." World Psychiatry 10(3): 210-216.
the process of national mental health service reform, including how it was included into the national public health program, how it began as a training program and then became a treatment and intervention program, its unique training and capacity building model, and its outcomes and impacts; the barriers and challenges of the reform process; future suggestions for policy; and Chinese experiences as response to the international advocacy for the development of mental health. Merner, B., et al. (2011). 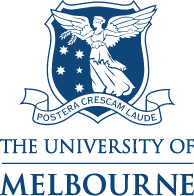 "Outcomes of the Postgraduate Overseas Specialists Training (POST) Program based in Melbourne, Australia." Asia-Pacific Psychiatry 3(1): 30-36. Introduction: This article explores the short- and long-term outcomes of the Postgraduate Overseas Specialists Training (POST) Program. This program, based at St. Vincent’s Mental Health (Melbourne) facilitates short-term clinical placements in collaboration with the Department of Psychiatry, University of Melbourne for mental health workers from the Asia-Pacific. The program aims to contribute to capacity development in the region’s mental health workforce. Methods: A total of 164 Fellows from 15 countries participated in the POST Program from 2001 to 2008. From mid-2006 to mid-2008, all POST Fellows (n=71) were asked to complete an evaluation survey on the last day of their placement. Ng, C., et al. (2013). "Partnerships for community mental health in the Asia-Pacific: principles and best-practice models across different sectors." Australasia Psychiatry 21(1): 38-45. OBJECTIVES: Stage Two of the Asia-Pacific Community Mental Health Development Project was established to document successful partnership models in community mental health care in the region. This paper summarizes the best-practice examples and principles of partnerships in community mental health across 17 Asia-Pacific countries. CONCLUSIONS: A series of consensus workshops between countries identified best-practice exemplars that promote or advance community mental health care in collaboration with a range of community stakeholders. These prototypes highlighted a broad range of partnerships across government, non-government and community agencies, as well as service users and family carers. From practice-based evidence, a set of 10 key principles was developed that can be applied in building partnerships for community mental health care consistent with the local cultures, communities and systems in the region. Such practical guidance can be useful to minimize fragmentation of community resources and promote effective partnerships to extend community mental health services in the region. Ng, C., et al. (2009). "Moving towards best-practice community mental health care in the Asia-Pacific." Asia-Pacific Psychiatry 1(1): 38-42. Ng, C., et al. (2009). "Community mental health care in the Asia-Pacific region: using current best-practice models to inform future policy." World Psychiatry 8(1): 49-55. Ng, C., et al. (2009). "China-Australia training on psychosocial crisis intervention: response to the earthquake disaster in Sichuan." Australasian Psychiatry: Bulletin Of Royal Australian And New Zealand College Of Psychiatrists 17(1): 51-55. Objective: This paper describes the AusAID-funded psychosocial training program conducted jointly by Chinese and Australian mental health facilitators in the wake of the devastating earthquake disaster in Sichuan. ; Conclusions: A total of 280 professional and volunteer leaders in disaster mental health response from across China took part in the national disaster mental health training program. A comprehensive, evidence-based and practical program was collaboratively developed and delivered to meet the needs of the medical professionals and volunteer mental health workers working in the field. Results of the training evaluation indicated high levels of uptake and usefulness for the participants. Further outcome assessments will be utilized at the service delivery and community levels. The training program has contributed significantly to the building of national and local capacity to deliver psychological first-aid and psychosocial response management to assist the populations who have been affected by disaster. Ng, C. H., et al. (2009). "China–Australia–Hong Kong tripartite community mental health training program." Asia-Pacific Psychiatry 1(2): 90-97. The present paper describes the unique mental health training cooperation between two countries involving three training sites to facilitate the improvement of mental health care and service delivery in China. The priority is to build workforce capacity to deliver appropriate mental health care and rehabilitation in the community. In response to this challenge, a training program was collaboratively planned between partners in both countries to provide a comprehensive training program for multi-skilled case workers for mainland China. The development and key activities of the training and exchange program correspond to a diverse range of training programs across multiple levels of staff and sectors. The tripartite training program represents a unique, large scale training program that has contributed significantly to developing one of the largest global national mental health program of reform and building a national community mental health service system for China. Over their many years of cooperation, the Australian and Chinese partners have developed a model for successful collaboration, one based on mutual respect, exchange of expertise and a deep appreciation of cultural difference and its influences on broad aspects of health system development. Ng, C. H., et al. (2011 Apr;). "The national community mental health care project in Vietnam: a review for future guidance." Australasia Psychiatry 19(2): 143-150. Objectives: The aim of this paper is to review the national community mental health care (CMHC) project in Vietnam and recommend improvements to the model based on findings reported at a national workshop of major service providers, and supplemented by information gathered from site visits and discussions with mental health leaders, professionals and stakeholders in the hospital and community mental health services. Conclusion: Since 2000, the CMHC project has been carried out in all 63 provinces with an overall national district coverage of around 64% and a total registry of 145 160 patients. It demonstrates a commitment by the government to integrate mental health into primary health care, in line with the World Health Organization recommendations, and set up a national community mental health network. Free treatment is provided for patients, mostly with schizophrenia (62.83%) and epilepsy (34.78%), at the local community level, and a national monitoring system is well established. However, the limitations include the lack of project funds, human resources and facilities, treatment scope, and linkages with families and community. A revised model of CMHC that builds on the strengths of existing services is proposed. While progress in community mental health care in Vietnam has been significant, many challenges facing the CMHC project need addressing. Raphael, B. and C. H. Ng (2011). "Disaster mental health preparedness and response: Asia-Pacific perspectives." Asia-Pacific Psychiatry 3(4): 163-166. Singh, B. and C. H. Ng (2008). "Psychiatric education and training in Asia." International Review Of Psychiatry (Abingdon, England) 20(5): 413-418. Psychiatric education and training, whilst playing a pivotal role in addressing the burden of mental illness in Asia, is very variable in quality and quantity across the continent. In this article formal postgraduate programmes in Indonesia, Thailand, Philippines, Singapore and India are described. The special situation in China where both basic and advanced psychiatric training receives particular attention, including the role of Asia Australia Mental Health in assisting the process, similarly the long hard road of re-establishing psychiatric training in Cambodia following the tragedy of the Pol Pot era are described. The article concludes with an overview of common issues involving education and training across the region.